Foundation president Chris Colbert welcomes Gerald W. ’77 and Bonnie Broy Dodson into the McMurran Society. The Shepherd University Foundation welcomed five new members into the Joseph P. McMurran Society at the organization’s annual dinner reception on Saturday, April 21, 2018. Hosted by Shepherd University President Mary J.C. Hendrix ‘74 and sponsored by the Shepherd University Foundation, the annual event brings together society members and their guests, along with Shepherd University faculty and administrators, to honor those whom have chosen to share their lifelong financial achievements with the University through estate and other planned gifts. Held in the beautiful bi-level atrium of Erma Ora Byrd Hall with its stunning views of Shepherd’s east campus, the elegant event featured a four-course dinner exclusively prepared by Shepherd University Catering. Chris Colbert welcomes Lynn E. Leatherman ’92 into the Joseph P. McMurran Society. Foundation president Christopher S. Colbert ’95 then welcomed new members Gerald W. ’77 and Bonnie Broy Dodson, Lynn E. Leatherman ’92, and Barbara K. ’52 and Richard S. Nickell into the Joseph P. McMurran Society. 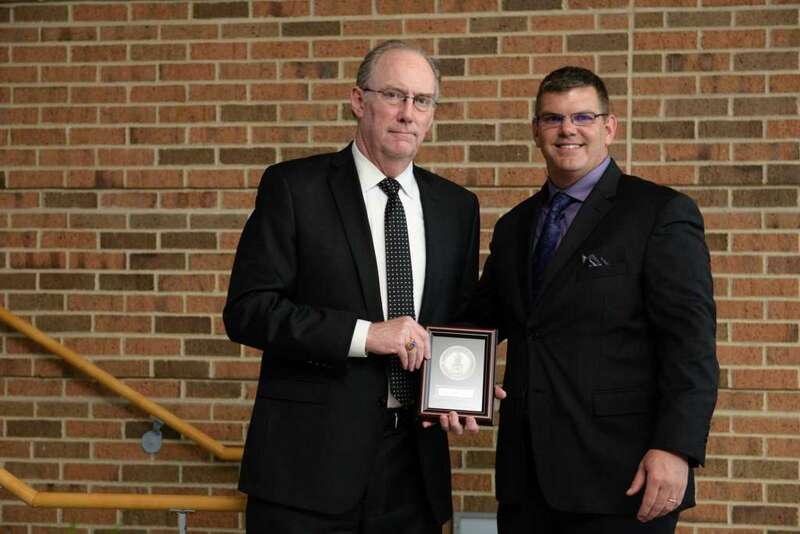 Each new member was presented with a commemorative gift featuring a framed medallion with personalized nameplate. 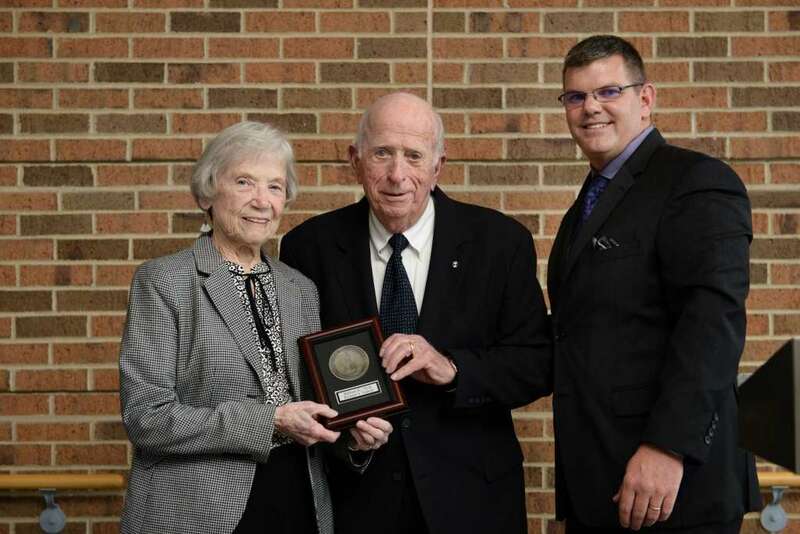 Chris Colbert welcomes Barbara K. ’52 and Richard S. Nickell into the Joseph P. McMurran Society. 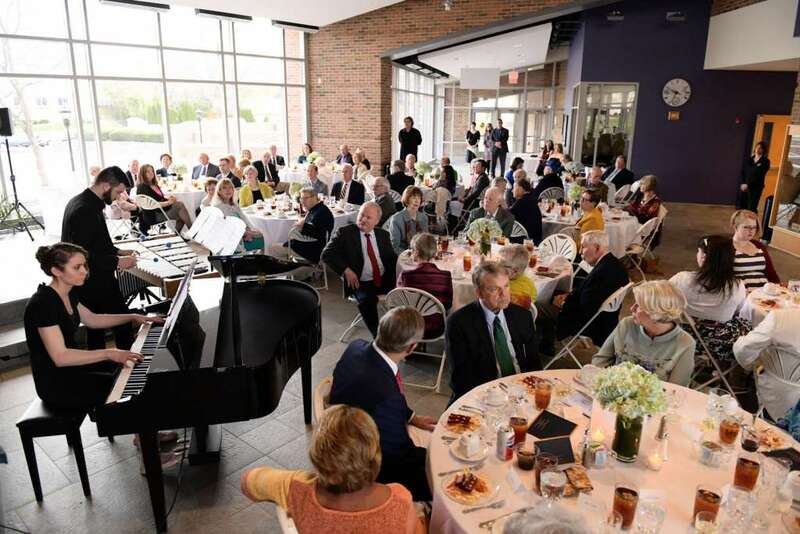 Following the program, guests were treated to a performance by Shepherd University music majors Heidi Macaluso on piano and Anthony Stoika on the vibraphone. Macaluso is majoring in piano pedagogy, while Anthony is pursuing a degree in music performance with an emphasis in jazz. Their six-minute duet entitled “Strawberry Therapy for Vibraphone and Piano” lent a jazzy ambiance to the evening. Recognized as the first president of Shepherd University, Joseph McMurran set standards of academic excellence that required him to make personal financial sacrifices in order to keep the College open. Through his dedication to Shepherd, Professor McMurran began a tradition of philanthropy which is carried on today by the Society’s members. If you are interested in learning more about establishing a planned gift through the Shepherd University Foundation, visit our Joseph P. McMurran Society page or contact Monica Lingenfelter, Shepherd University Foundation, P.O. Box 5000, Shepherdstown, WV, 25443-5000, 304-876-5397, [email protected] or visit www.shepherduniversityfoundation.org. Pictured above: President Mary J. C Hendrix hosts the annual Joseph p. McMurran Society Dinner on April 21, 2018. 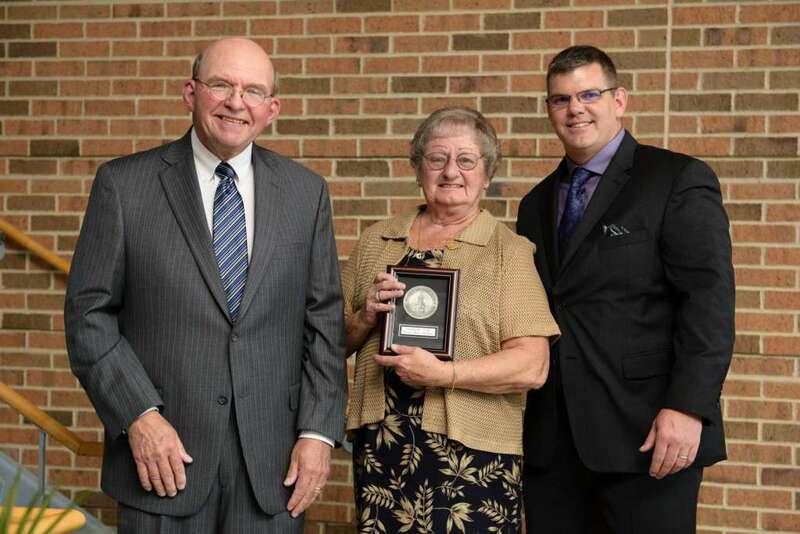 Pictured from left: Mary Ann Morgan, Barbara Nickell, President Hendirx, Gerald Dodson, Bonnie Broy Dodson; standing: Holly Frye, assistant vice president of Student Affairs, and Shepherd supporter, Delegate Riley Moore. Visit our gallery for more photos from the annual Joseph P. McMurran Society Dinner; all photos courtesy of Sam Levitan Photography.